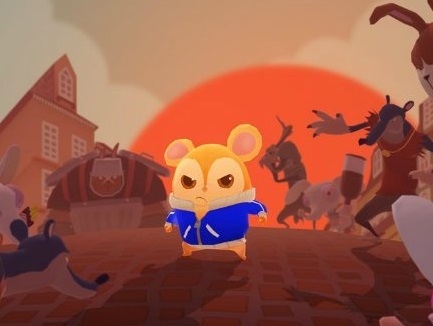 Home > PlayStation Vita > I mean... who doesn't want a brawler starring a hamster? I mean... who doesn't want a brawler starring a hamster? Let's chalk this one up as the quirky game announcement of the week. Hamsterdam, by Muse Games, is one of the new Kickstarter titles. Looking to raise a modest $US8,000, and already clearly deep into development, this is an arcade brawler where you get to play as a highly customisable hamster. Yep, it's brutal hamster combat plus dress-ups, and that seems to be resonating with players. At time of writing, the campaign has just launched and is already a third of the way to its target. And with good reason, too. Who doesn't want to lay the beat-down with hamsters? There's plenty more details on the Kickstarter page, as well as a list of the delightful rewards backers can get. This is the developer behind Guns of Icarus, so it knows how to deliver a project, and as the trailer (below) shows, it really is a long way along already. The game's currently slated for a March 2019 release, across Nintendo Switch, PlayStation Vita (yes! ), PC, iOS and Android. Clearly this is being pitched as a bit of portable fun.